I’d never recommend only using a micellar water as your cleanser, in favour of a good, solid cleanser and water. But, as an immediate cleanser it’s perfect. The best use for micellar is as post or pre-cleanse; apply on a cotton pad and sweep over the whole face. 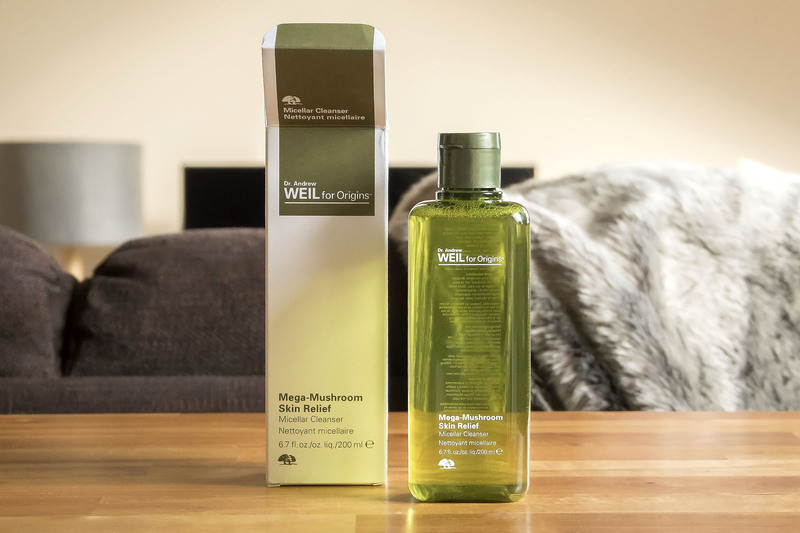 What’s so special about the Mega-Mushroom Micellar Cleanser? Well it includes the mega-mushroom blend in all his skin care that works to calm and recondition skin whilst dramatically boost healthy skin function; it’s also very brightening! There’s also a Berry Ferment, a powerful blend of antioxidants to protect the skin from oxidant damage. The Mega-Mushroom Micellar Cleanser has a gorgeous and faint botanical scent which comes from all natural essential oils and ferments; it’s stunning! The essential oils and extracts include: orange, lavender, mandarin, olibanum, cranberry, blueberry, wolfberry, tumeric, mushroom, sunflower, algae, cucumber and yeast. Finally the cleanser is formulated without parabens, phtlataes, mineral oil, petrolioum, parrafin, DEA, colourants, synthetic colours, synthetic fragrances or animal ingredients! It really is a win, win. My only note would be to test beforehand if your skin is particularly sensitive as sensitive skin can react to the potency of essential oils. This article first appeared on MANFACE written by Thom Watson. It was published on Friday 12th February 2016 and was last updated on Monday 3rd April 2017 at 1:10pm. It's categorised under Acne, spots & blemishes, Anti-Ageing, Cleanse, Combination Skin, Dark Spots / Pigmentation, Dry / Dehydrated Skin, Enlarged / Blocked Pores, Oily Skin, Origins where you'll find more related content.